This guide is intended to aid in locating suppliers for parts and cost estimation sources. 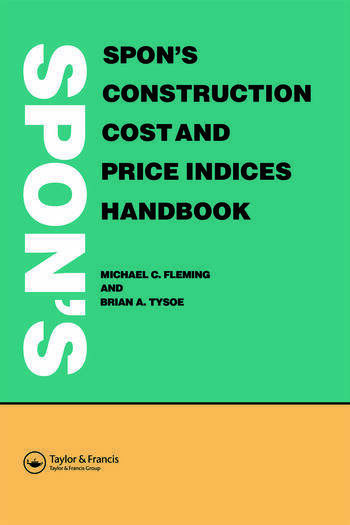 17 volumes that provide current information on construction costs estimating data. Volumes include facilities, mechanical, landscape, labor costs, labor rates, heavy construction, residential, commercial, concrete, electrical, plumbing, interior, exterior, and green building cost data. Books provide current information for UK construction costs, cost of labor, materials, etc. Journal provides professional insights on how to manage projects and includes best practices for total cost management. Compass International publishes seven annual books containing cost information applicable to 120+ countries. Sectors include construction, pipelines, clean rooms, and more. Provides a broad list of chemical prices from 2006-2008. Paragraph at the top of the page 'Indicates Chemical Prizes A-Z' provides specifics for how the data shown should be interpreted.